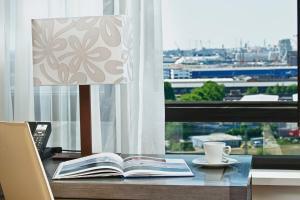 Opening in June 2012, Grand City Hotel Hamburg Mitte offers modern rooms with wooden floors. All rooms include a flat-screen TV, desk and private bathroom, and some have harbour views. The Grand City Hamburg Mitte is 10 metres from Lippeltstraße bus stop and 500 metres from Hammerbrook City Süd S-Bahn Train Station.